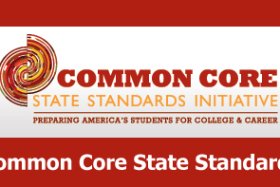 Many schools have been left scrambling to roll out Common Core to teachers in the past couple of years. Many systems used a train the trainer model to do so. Though we are educators, not every teacher is a teacher trainer. In turn, training of the Common Core model was not always delivered with fidelity. 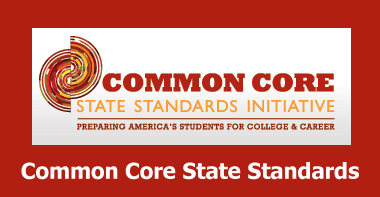 I have been asked time and time again what is the best training available for Common Core? How do we pull off understanding and transferring such an enormous transition from our state objectives to this new model? These questions have been at the forefront of reflection for me this first semester of school. In Ron Clark's book The End of Molasses Classes, he says "Figure out a solution. Find a way to create success. Make it happen. If you are taking the time to make an excuse, then you are wasting time that could be spent on finding a solution." I am fairly certain Clark wasn't referring to the Common Core when he wrote those words. They are words I find myself coming back to again and again, not just in education but in every day problem solving. So my solution: I began to research, investigate, unlearn, learn, and relearn what is now known to almost all of teacherkind as Common Core Standards. In doing so I found a really great resource in American Achieves Common Core which can be found at http://commoncore.americaachieves.org/ . This is a great starting point. I found a video on the three major shifts in English Language Arts and though it is lengthy, it is well worth its 51 minutes. You can find that video at https://vimeo.com/44521437. Watching the video is the short version of shifting through the previously mentioned website resources. My plan is to follow up this blog with my next step. Sharing this information is probably the best way to help your fellow teachers, so please mention US Digital Literacy to them and let's find a way to CREATE SUCCESS with the COMMON CORE.